Friend of the late Freddie Mercury has revealed himself to be quite the animal lover and we can't cope with how cute he is. 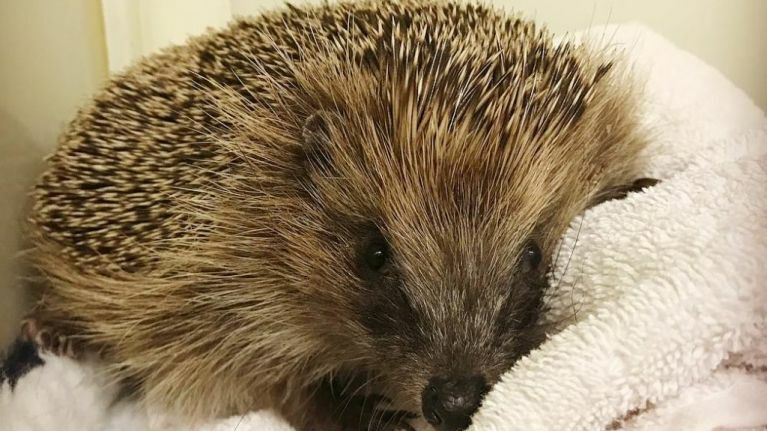 Earlier this week, an injured hedgehog was discovered by locals and taken to the Save Me Trust wildlife charity on Brian May’s estate in Surrey. The animal was in desperate need of help, with a badly damaged leg that wasn't healing. The former Queen guitarist took it upon himself to organise the life-saving operation the animal needed in order to survive and he documented the whole process on Instagram. "And here is the patient. Phil is really healthy in every way except his badly damaged leg is not healing. So Tom will remove the remains of this leg, and Phil will hopefully have a chance of a long and happy life. Fingers crossed. Bri"
And they discovered one big difference when putting the animal under anaesthetic - Phil is a Philomena! "How sad it would be to put her to sleep - to extinguish the life of a creature otherwise in such good health. " "I didn’t realise this was gong to be so traumatic." Thankfully, Philomena pulled through the operation, minus one limb but in no shortage of spirit. Brian has treated us to some very cute pictures of the healthy hedgehog who is now "eating, and seems calm and interested in the world again." Brian filmed Phil's entire journey back to health and it will feature in Saving Britain’s Hedgehogs, a TV mini-series. that will be aired at the end of April 2019 on Channel 5. We can't wait!